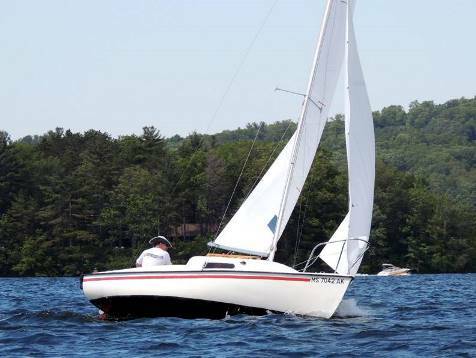 You may join the Webster Sailing Association if you are 18 years or older, have a sailable sailboat 20 feet or less (18 feet or less for a catamaran) and have a basic knowledge of sailing. Cost for first year is $342.00 and $265.00 for each year after. Membership fee covers all persons living in the same household and includes one boat parking space (either dry sail or mooring). The first year of membership is probationary and each new member must demonstate their sailing skills, attend one of our two work parties and show a willingness to help with the management and maintenance of the club. We also expect all members to sail their boats on a regular basis. Membership is open to qualified individuals and families. For more information, email webster.sail@gmail.com.